Dennis shall serve Genl P. the full Term of six years from the payt of the money. 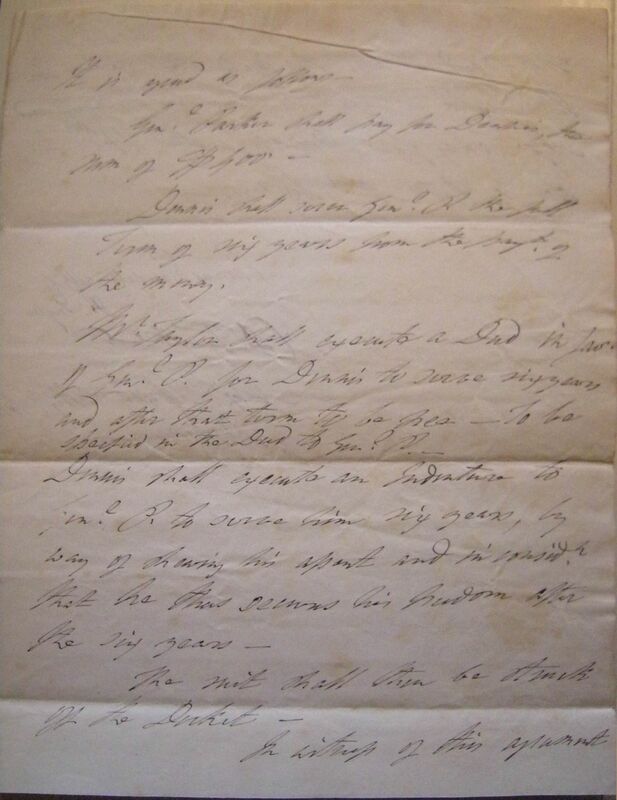 Mr. Taylor shall execute a Deed in [illegible] of Genl P. for Dennis to serve six years and after that term to be free. 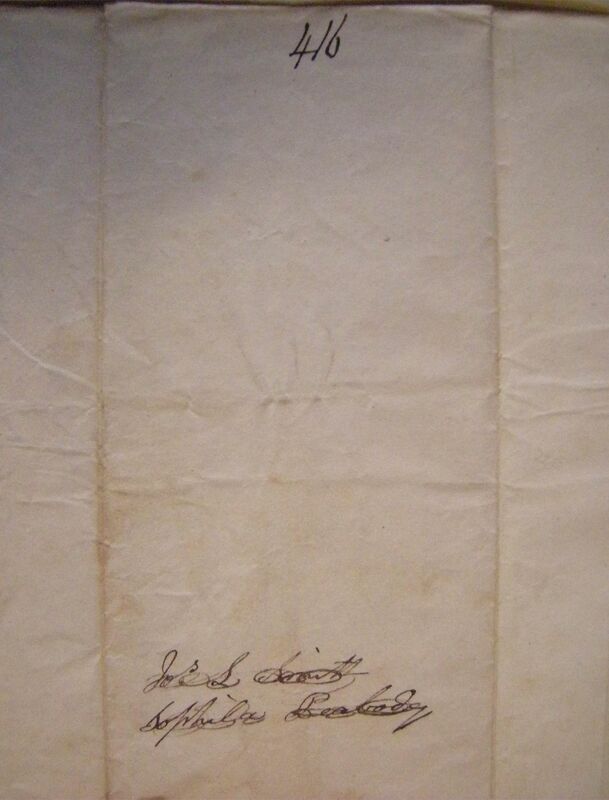 To be specified in the Deed to Genl P.
Dennis shall execute an Indenture to Genl P. to serve him six years, by way of shewing his assent and in considn that he has secured his freedom after the six years. The suit shall then be struck off the Docket. In witness of this agreement Thos Randall Esq. 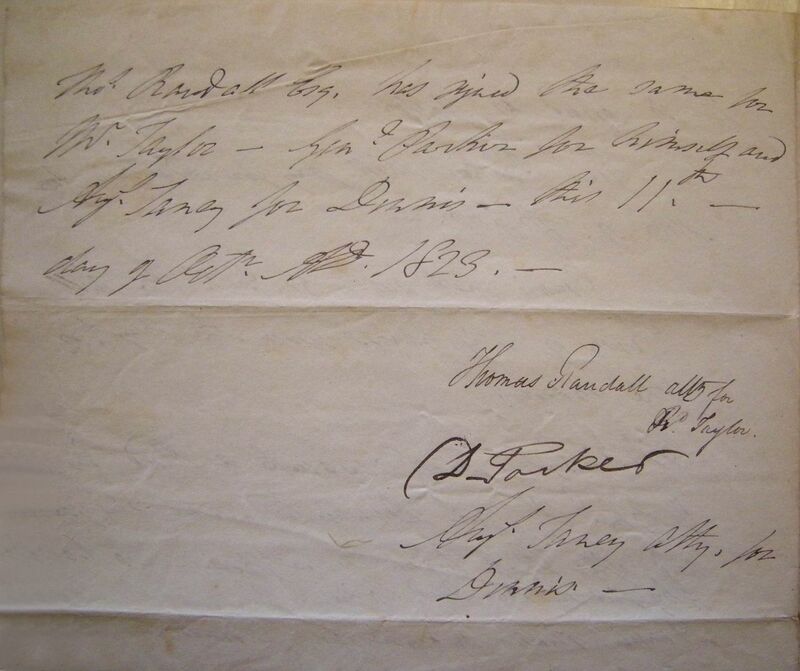 has signed the same for Mr Taylor, Genl Parker for himself and Augt Taney for Dennis, this 11th day of Octr AD 1823.